With $7 billion of committed capital, IVP is one of the premier later-stage venture capital and growth equity firms in the United States. Founded in 1980, IVP has invested in over 300 companies, 107 of which have gone public. 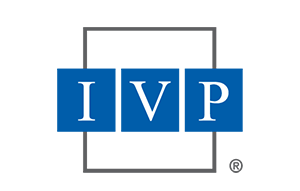 IVP is one of the top-performing firms in the industry and has a 37-year IRR of 43.1%. IVP specializes in venture growth investments, industry rollups, founder liquidity transactions, and select public market investments. IVP investments include such notable companies as AppDynamics (CSCO), Buddy Media (CRM), Casper, Coinbase, Compass, Datalogix (ORCL), Domo, Dropbox (DBX), Dropcam (GOOG), Fleetmatics (FLTX), GitHub, Glossier, HomeAway (AWAY), The Honest Company, Kayak (PCLN), Klarna, LegalZoom, LifeLock (LOCK), Marketo (MKTO), Mindbody (MB), MuleSoft (MULE), Netflix (NFLX), Omniture (ADBE), Pure Storage (PSTG), Rubrik, Slack, Snap (SNAP), SoFi, Supercell (SoftBank), Tanium, TransferWise, Twitter (TWTR), Yext (YEXT), ZenDesk (ZEN), ZipRecruiter, and Zynga (ZNGA). | For more information, visit www.ivp.com or follow IVP on Twitter: @ivp. March Capital Partners is a Los Angeles-based venture capital firm that invests in breakthrough technology companies. March Capital collaborates with top entrepreneurs building technology companies in large, meaningful markets. The firm has active investments in both early-stage and late-stage companies across enterprise software, cloud and IoT infrastructure, competitive gaming, cybersecurity, and other high-growth industries. | For more information, visit www.marchcp.com. 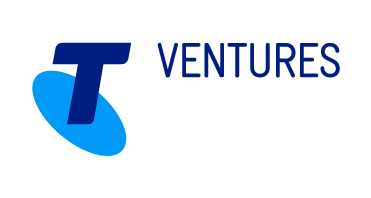 Telstra Ventures is the corporate venture capital arm of Telstra. Based in Silicon Valley, China and Australia, the group has invested in more than 50 leading technology companies since 2011 and are rated Australia’s #1 corporate Innovator. | For more information, visit www.telstraglobal.com/ventures.